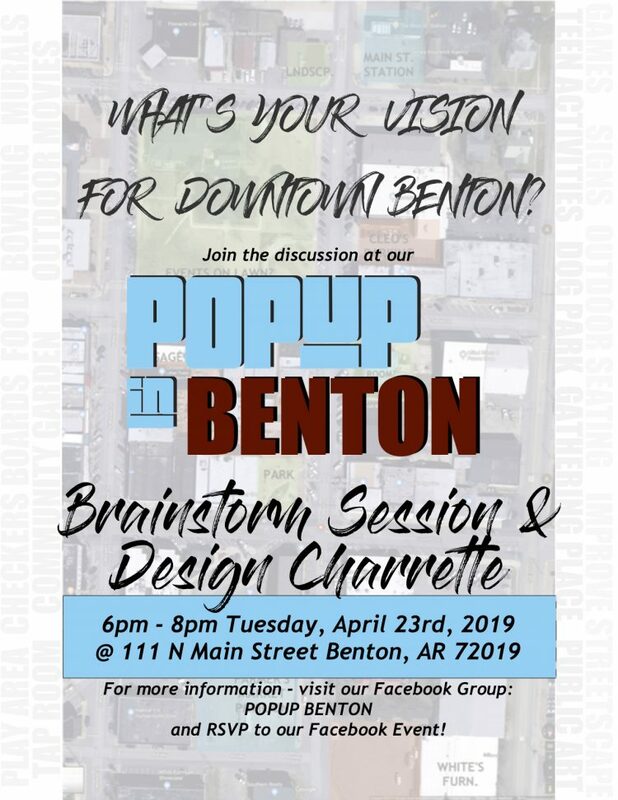 The City of Benton is planning a Pop-up event in the historic downtown Benton area and the public is invited to come share in the planning. The Community Brainstorming Session & Design Charrette. The event will be held at 6-8 p.m. on Tuesday, April 23rd, 2019 at 111 N. Main in Benton. 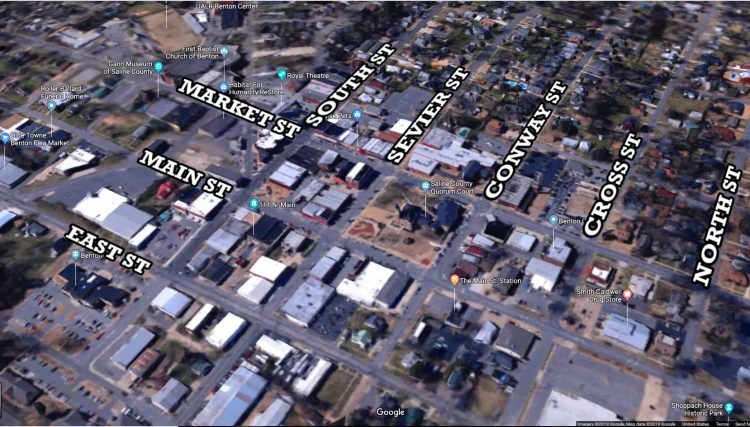 At the beginning of the meeting, the group will walk the three blocks on Main Street between the Farmers Market and Main St. Station. Then there will be brainstorming in groups about how to improve the street and spaces, and what events and activities would be good for using the spaces in a new way. Everyone is welcome and all ideas are welcome. There will be light refreshments. RSVP on the Facebook Event and be sure to like the PopUp Benton Facebook page.